POLITICAL TIDBITS: SC sources opine that for now it's 10-5 in favor of DQ of Grace Poe, with five P-Noy appointees voting for her, but it could still change to 8-7 should Stella Bernabe and Presbi Velasco have change of heart---a real cliff hanger. En banc vote on Justice Del Castillo's pro-DQ draft decision could come after SC Easter break. Report that magistrates won't touch citizenship issue and concentrate on Poe's lack of residency understandable---they could be leaving door ajar for amending Constitution and Poe running in 2022. SC sources opine that for now it's 10-5 in favor of DQ of Grace Poe, with five P-Noy appointees voting for her, but it could still change to 8-7 should Stella Bernabe and Presbi Velasco have change of heart---a real cliff hanger. En banc vote on Justice Del Castillo's pro-DQ draft decision could come after SC Easter break. Report that magistrates won't touch citizenship issue and concentrate on Poe's lack of residency understandable---they could be leaving door ajar for amending Constitution and Poe running in 2022. Manila Times reporter Jomar Canlas wrote the other day that the 70-page draft decision on the Grace Poe case pending in the Supreme Court, penned by Associate Justice Mariano del Castillo, is currently circulating among the 14 other justices. From SC inside sources, this blogger has gathered that the High Court appears divided at this point 10-5 in favor of the disqualification (DQ) of Grace Poe. The 10 pro-DQ magistrates are led by Senior Associate Justice Antonio Carpio and include the two other justices who voted with Carpio in the minority in the Senate Electoral Tribunal decision that upheld Poe's eligibility to run for president---namely, Justices Arturo Brion and Teresita Leonardo De Castro. On the other hand, the five anti-DQ justices are said to be the appointees of President Aquino, namely Chief Justice Ma. Lourdes Sereno, Justices Francis Jardeleza, Marvic Leonen, Bienvenido Reyes and newly minted appointee, P-Noy's classmate, Justice Alfredo Benjamin Caguioa. Insider reports say that the Del Castillo draft pro-DQ decision was supposed to have been voted at the en banc meeting two days ago, but this was ordered postponed by CJ Sereno again in view of conflicting arguments. In fact there are now reports that actual voting on Poe’s DQ would take place most likely only after the Holy Week break of the magistrates in Baguio. The situation vis-à-vis this issue appears to be quite fluid, for while now it's 10-5 in favor of DQ, it could easily shift with a change of heart of, say, another P-Noy appointee, Justice Estela Perlas-Bernabe, who until now is said to be maintaining an independent stance on the Poe DQ issue. Another possible shifter could be Justice Presbitero Velasco, whose son was recently declared winner of the Marinduque congressional seat over Rep. Gina Reyes by the House of Representatives Electoral Tribunal, chaired by no less than Justice Velasco himself. Curious timing by the HRET, isn't it? If these two justices shift positions, the final tally could end up 8-7 in favor of Poe's DQ---a real cliff-hanger. Media reports allege that calls from Malacanang to the court have become more persistent. If the tide turns more radically, the Del Castillo majority decision becomes the minority ponencia. Such are the dynamics in the SC right now. What will be most interesting will be how the justices would justify their votes. The Times' Jomar Canlas reports that the magistrates will avoid tackling the citizenship issue and instead concentrate on the 10-year continuous residency requirement of the Constitution, wherein Poe is found wanting by the May 2016 elections. I can believe that, for I followed the five weeks of successive hearings at SC on Poe's DQ by Comelec which she challenged, and I cannot find any justification for her being allowed to run in the coming elections. Tinimbang si Poe nguni't kulang talaga on both counts and it would be a blatant disregard of the Constitution if they allowed her to run this May. There's talk that Senior Associate Justice Carpio is writing a separate opinion, which would not be surprising as he was perhaps the staunchest against a natural-born status for foundlings. But if the SC as a body would leave the citizenship issue untouched, it could be due to several reasons. One, if the magistrates rule that as a foundling Poe is not natural-born and therefore ineligible to run for President, this would also mean that she should not have been allowed to run for the Senate, inasmuch as senators and House members have to also be natural-born, as the Constitution provides. When Poe ran for the Senate in 2013, the Comelec obviously failed to check on her citizenship status---an unfortunate carelessness that's now badly dividing the country. Doubtless, the SC magistrates also realized that the foundling issue has aroused a lot of sympathy for such children with unknown parents, especially with the bleeding-heart arguments of Justices Sereno, Leonen and Jardeleza. But it could also indicate that Poe's SC defenders also realize that the citizenship issue is a no-win situation for Poe---or for the magistrates---at the moment---as well as a potential landmine for impeachment of some jurists in an unfriendly Congress in the future. Thus, by escaping from the citizenship issue for the moment, the magistrates are giving her all the leeway to work out an amendment to Sec. 2, Art. VII of the Constitution that states that only natural-born citizens can run for President---so that in 2022 Poe can run even as a naturalized citizen. Given her popularity and youthful age, she can sit out the next six years and in the meantime, work out such amendment via a constitutional convention, or the 3/4 vote of the entire Congress, or through people's initiative---which will afterwards be submitted to a plebiscite.. But that would also mean that VP Jejomar Binay gains from Poe's being DQed, as her supporters such as Mayor Erap Estrada and the entire National People's Coalition would now fully concentrate on supporting Binay, instead of being badly divided at the moment. Hence, May 2016 could become a three cornered fight between Binay, Duterte and Mar Roxas, with the VP clearly with a huge advantage inasmuch as the masa votes Poe commands would gravitate toward him. But this could also mean that President Aquino's candidate, Mar Roxas, whom P-Noy may be depending on to get him out of predictable prosecution in the post-presidency, would all the more remain at the cellar in surveys. Thus, it may encourage P-Noy's loyalist lieutenants to resort to certain automated tricks that would further challenge the credibility of the coming elections. . In fact, even before the SC decision on Grace Poe is handed down, the battle may also have shifted to the citizens' challenge for Comelec to issue the critical voter's verified paper audit trail (VVPAT), a.k.a., the "voter's paper receipt or recibo" from the Vote Counting Machine (VCM). Comelec has been ordered by the SC to answer posthaste the citizens' clamor for these receipts---a fight led by former SENATOR RICHARD GORDON, the principal author of the AES Law that mandates those receipts. We Filipinos should be all together in this fight for the VVPAT, as this is one issue that could help prevent cheating in the coming elections. I say COULD as there are many ways for the syndicates operating inside the Comelec to cheat, but the voter's paper receipt would already be a big help in countering this perennial menace of our elections. Wag sana pangunahan ang SC decision. They are all trying to confuse and mislead the people into thinking there's really no chance. Anyway, I think the SC will have a favorable decision. She is very qualified. The SC cant make second-class citizens. 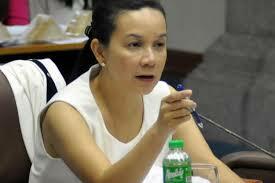 For me, Senator Grace Poe should be allowed to run or else, this will affect millions of foundlings in our country. Hence, i believe that those who are filing a case against her are just causing a confusion. Hoping that the Supreme Court will rule in her favor. Wla akong against ky Poe pero sana naman ang batas ang mananaig. Maliwanag pa sa sikat ng araw ang kulang ang residency nya. Confusion is what you are having now. Ang batas ay batas. 2022 is a good time for Poe wag na ipilit. Ni pamilya nya di makaboto. If they decide to disqualify her based on her residency, it wouldn't affect the status of all foundlings in the country. The most probable scenario being presented in the article is that she will be dqd due to lack of residency. I hope the SC Justices uphold the rule of law, regardless of Poe's popularity. Please respect and wait for the Supreme Court decision. Stop clouding the minds of the people who are supporting Grace Poe. I believe she is qualified to run.